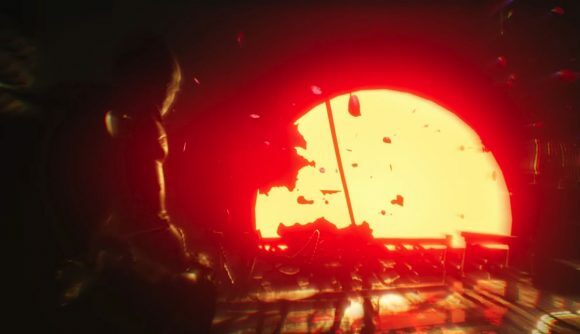 There’s a new teaser trailer up for Layers of Fear 2, the follow-up to Bloober Team’s spooky 2014 haunted house game about an artist who is rapidly losing his marbles. This time around, the action is on a steamer ship, and the spookiness factor is amped up considerably thanks to narration by Tony Todd. Yes, that Tony Todd – the actor who starred in the Candyman trilogy of horror films from the ‘90s. He speaks in his unmistakable bassy growl over images that begin in an early 20th century cinema and transition to a first-person perspective aboard a classic ocean liner. Whatever else you might say about Bloober Team’s games – Layers of Fear and Observer, most recently – the studio is absolutely aces when it comes to nailing atmosphere. The first Layers of Fear was packed with jump scares, sure, but the creepy atmosphere of the mansion and the effects they created for the melting paintings were excellent. So it’s fair to expect a similarly creepy experience with the sequel. The brief trailer doesn’t show us much, but things get eerie quickly: there are the classic horror doors slamming, rats fleeing, a coffin, and even a twitchy abomination of some kind charging down a darkened corridor. Bloober has enlisted Hollywood talent before – Observer’s protagonist was voiced by Rutger Hauer, who played the replicant Roy Batty in the original Blade Runner. While I’m not fully convinced Hauer knew exactly what he was getting into when he agreed to work on a videogame, it sure seems like Todd is right at home providing the narration to a haunted boat game like Layers of Fear 2. Layers of Fear 2 is continuing the theme of art history established with the first game, and this time around the focus is on cinema, the developers explained. You’ll be playing as a star of Hollywood’s ‘Golden Age’ of film, presumably on a cruise that goes disastrously awry. There’s no release date set yet for Layers of Fear 2, but we’re hoping to see it sometime later this year.